For Jordan and its vicinity, we're showing you all the registered pools, a few of them have no GPS coordinates and can't be identified on the map at the map. There are frequently discounts available to senior citizens and small youngsters for independent swim. Discover by contacting your nearest pool among these Jordan Pools. If you might be looking for Jordan Pools, it's great to know several of them belong to gyms or sports centers which also supply lessons. Get informed by calling the premises. 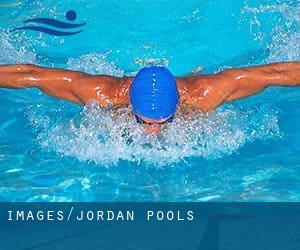 Going to a Jordan Swimming Pool is increasing especially within the elderly population sectors of Jordan, who have suffered some type of muscle or bone damage. We probably don't know all the Pools in Jordan. Are you missing any? Contact us!. Are you on holiday and want to keep fit and healthful? Swimia.com offers you the straightforward and quickest way to uncover Aquagym in Jordan near your current location. One from the advantages of outdoor swimming in Jordan may be the possibility to sunbathe throughout the summer season. Taking it with extra care, sunbathing is healthful because introduces Vitamin D into the body, so the best selection seems to be switching among indoor and outdoor pools depending on the season. Enjoy the best indoor pools in Jordan and don't worry about the weather. These facilities are open all seasons and you can enjoy a swim at the same temperature every day of the year. There are a few causes why you ought to choose a heated swimming pool in Jordan. One of the most important a single relies on the significance of keeping the body temperature stable. If the water is too cold, your body will try to warm it up and you will shed strength to swim correctly. Whereas Amman is among the six most populous cities in Jordan with nearly 1.275.857 residents, you shouldn't miss that one if you're going to Jordan. Let us let you know a secret to switch off while you are in Zarqa: just decide on a Pool in Zarqa and plunge into the water! There's no a lot more effective strategy. It's difficult to visit Jordan without having dropping by Irbid (with 307.480 residents). At present Swimia is showing you all the Pool in Irbid and the closest pools located in its vicinity. Swimming is a excellent idea to keep your body active during your visit to Russeifa (Jordan), or even if you are a local. Swimia helps you to locate your closest Pool in Russeifa. Queen Alia Street , Amman (Postal Code: Unknown). Swimmers like you reported 30 meters, Indoors. Phone number and e-mail address are number for this Swimming Pool. Hussein Ben Ali Street , Jabal Amman , Amman (Postal Code: 11183). Swimmers like you reported 17 meters ""lap pool"", Indoors. Phone number and e-mail address are number for this Swimming Pool. Al Nahda Street , Aqaba (Postal Code: 77110). Swimmers like you reported 25 meters, Outdoors. Phone number and e-mail address are number for this Swimming Pool.